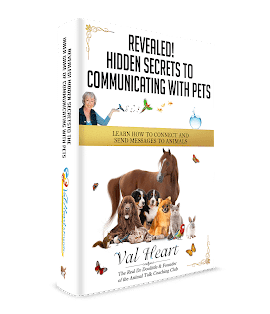 What is the BodyTalk For Animals Healing System? I’m often asked about the BodyTalk for Animals System of healing therapies, specifically, how does it work? Does it work? A simple answer for an incredibly complex healing modality is, the BodyTalk for Animals system works by first identifying the weak energy circuits that exist within the body. The highly trained BodyTalk practitioner relies on the innate wisdom of the body to locate the energy circuits that need repair by using a form of biofeedback, which is a subtle muscle testing technique similar to kinesiology. For every malfunctioning energy circuit that is found, the practitioner or client contacts the corresponding “points” with their hands. The practitioner then lightly taps the client on the top of the head, which stimulates the brain centers and causes the brain to re-evaluate the state of the body’s health. The result is that the general energy balance of the body is greatly improved. That is important because fundamentally, ALL beings consist of energy. Our physical health is a direct reflection of our energetic health. Our physical form is created using an energetic blueprint. Kirlian photography demonstrates that the energetic blueprint forms FIRST, and that the physical form then builds itself to that energetic model. So if your energetic blueprint is broken, damaged, or not flowing properly, then the overall health of the body mind is compromised. These are just a few of the areas in life that BodyTalk can immediately help. There are no medications, supplements, or added work needed to help you and the ones you care for feel better now. The practitioner relies on the guidance of innate wisdom, confirming the information through muscle testing to not only locate the weakened lines of communication in the body but also to find the proper order in which they are to be addressed. Just as the body heals a wound with a particular sequencing of chemical reactions, the body wants to address all healing in a certain order. This priority is paramount in the balancing process to initiate the body’s ability to heal itself. The healing process usually follows rather quickly. 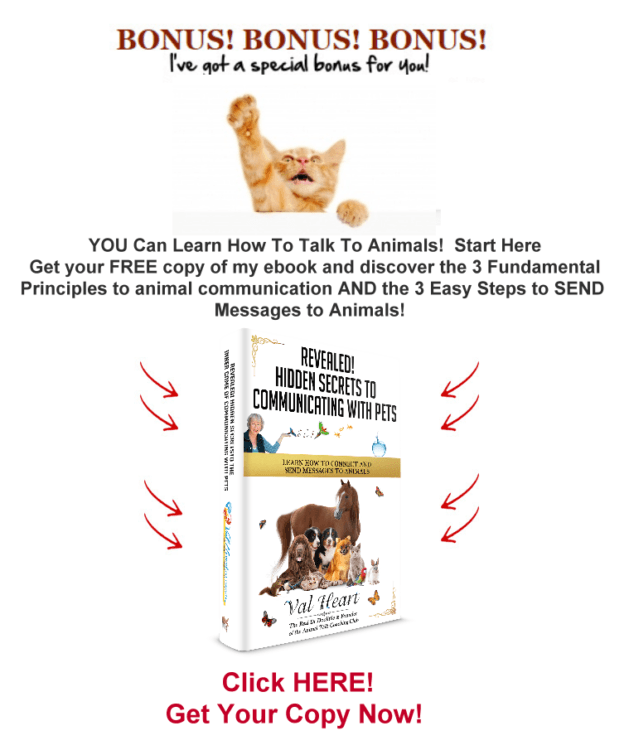 How Does BodyTalk for Animals work? Our animals reflect our woundings, energetic imbalances, and often carry our illnesses. For that reason, it is critically important to pay attention when our animals are ill or acting out AND to seek treatment together as a family matrix. They are often reacting to your own issues and stressors, and you are also at the effect of theirs. Communicating with animals is a critically important first step. What Val finds is often needed is an energetic re-balancing at fundamental levels — not just for them but also for you and/or their entire family group. 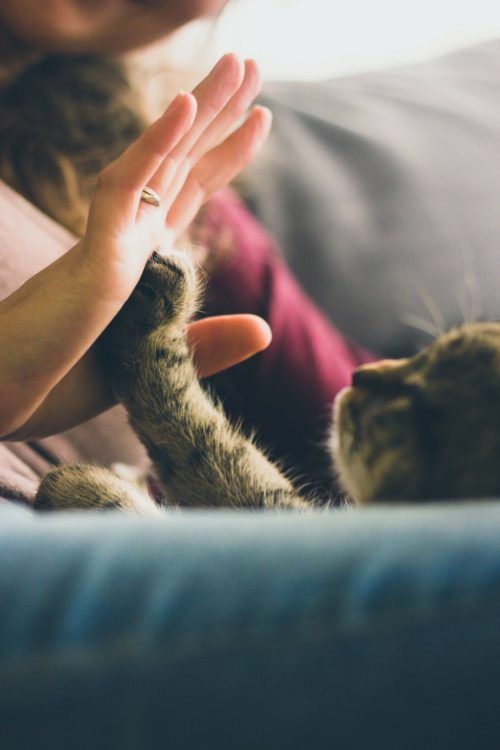 Because animals are connected and consciously aware of their group community, they are much more responsive to group consciousness and energy work. Animals respond very quickly to rebalancing energies at these levels. Often changes are seen during the session and continue to improve afterward. To get the best results the fastest way possible, it is important to rebalance the entire family energy dynamic. To do this Val will not only be rebalancing your animals to help them heal, she will also be working with you. That means that you and your entire family group will both receive the benefit of the work, enabling you to heal and repair as quickly as possible. To get started, it’s wise to invest in 3 sessions. The initial BodyTalk for Animals Sessions healing process focuses on rebalancing the core fundamental issues. It’s taken a lifetime to get you where you are now. Fortunately it won’t take a lifetime to achieve healing, but it will take a few sessions to get you where you want to be. Often behavior problems will also resolve during the process. After 3 healing sessions, we will assess what has changed and evaluate what still needs attention, if anything. Depending on the issues you would like help with. It is recommended that you schedule one session every 2 – 3 weeks. Some clients may take more than three sessions if their history or situation is more complicated or ongoing. The principles BodyTalk are based on proven scientific facts and leading edge discoveries. It is a new way of addressing our well-being in the future. BodyTalk opens an unlimited collection of energetic possibilities for us to heal on many levels. Dr. Amit Goswami Ph.D., Quantum Physicist, Professor Emeritus Oregon University and featured in the movie "What the Bleep do We Know?" 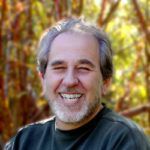 Dr. Bruce Lipton Ph.D. and author of "The Biology Of Belief"